I’ve been on a sweet kick lately, if you haven’t noticed. It’s not just that I had a contract to make 300 desserts for a client this week. It’s also related to my knee surgery earlier this summer. I lost my appetite for a couple of weeks post-surgery (that’s a good thing based on where the scale had crept up to! ), and when my taste for food came back, I found myself craving sweets instead of my usual, potato chips. I’m not sure why, and I’m pretty sure I’m not happy about it (I ate 3 large cookies and two bowls of ice cream in one day last week! 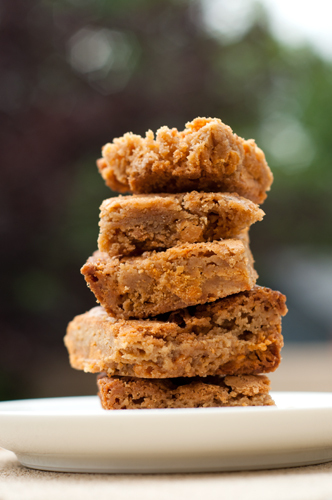 ), but if you love sweets, then these blondies are for you. 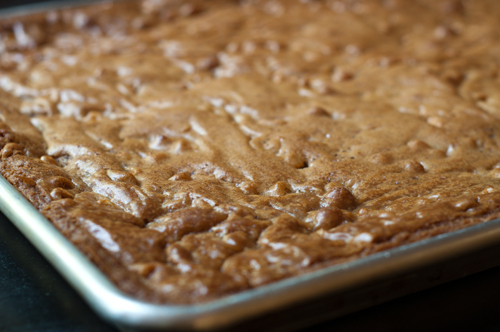 Some people are offended when these are referred to as butterscotch brownies, insisting that anything that is called a brownie should be chocolate as a base. I’m not sure I care so much about the name. 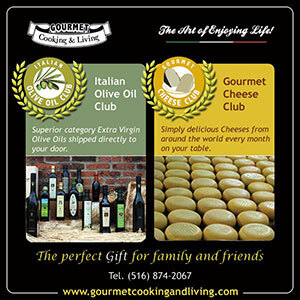 But I do care about cooking technique. Why make a small batch in an 8×8 pan when you can make a triple batch in a half sheet pan? Don’t worry, you don’t need to eat them all at once as they will freeze just fine. I don’t like the crunchy edges (one friend of mine calls this the biscotti portion of the brownie), so I’m tempted to cut that off, but have to remind myself that the world is largely divided over lovers of the middle and the edges. 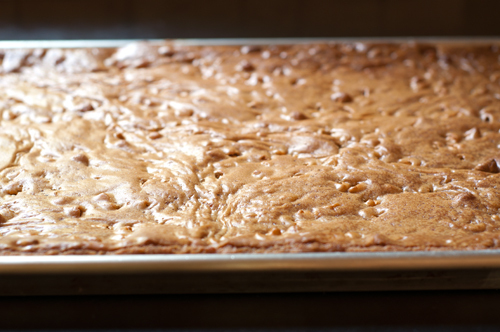 Blondies take on a butterscotch flavor long before any additions from the brown sugar based. But adding butterscotch chips doubles this flavor. You could also add chocolate chips, nuts, coconut, dried fruit or just about anything your heart desires in a brownie. I made mine simple for the event this weekend and left chocolate chips out to differentiate these from the traditional brownies I made. 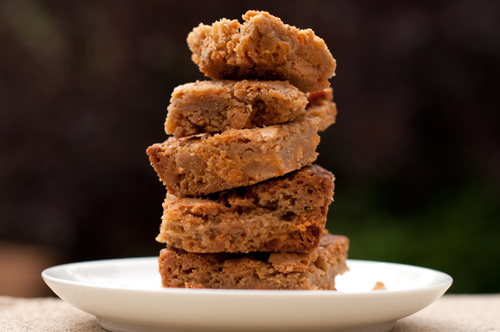 If your sweet tooth is calling, these blondies are ready to answer the call! And kids, don’t forget to ask your parents for their help before you start cooking! Spray a half sheet pan with cooking spray, then line the bottom with parchment paper. Spray the paper with more cooking spray. Preheat oven to 325 degrees. Combine brown sugar and melted butter and beat with an electric mixer until fairly smooth. Add eggs and vanilla and beat until incorporated. Slowly mix in flour until smooth, then stir in chips. Pour into prepared pan and smooth into corners. If desired, sprinkle liberally with sea salt. Bake for 30 minutes. Remove from oven and allow to cool fully in the pan before slicing in 48 2-inch blondies. 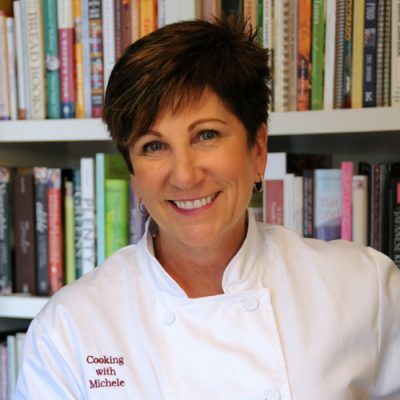 If you want to make a smaller batch, cut all ingredients into ⅓ and bake in an 8 x 8 inch pan for 30 minutes.